Set sail with The Oak Ridge Boys for a four-night voyage onboard the Celebrity Constellation sailing from Miami to the Caribbean from February 28 – March 4, 2013. The cruise is packed with exclusive activities and special events, including two concerts featuring some of the group’s biggest hits, a welcome reception hosted by the Oak Ridge Boys, meet & greet session, 40th anniversary celebration and much more. Plus, there’ll be plenty of time for poolside relaxation along with other onboard happenings and entertainment. You’ll be able to take breathtaking tours, adventurous excursions and stroll along sun-soaked beaches in Key West and Cozumel. “Sail away with us during the Oaks’ Rally at Sea. Request and hear the songs you want to hear, ask the question you never got to ask, attend the exclusive “fans only” show where you pick the songs and learn things you never knew about the group and each individual member,” says lead singer Duane Allen. “Hear some of the inside secrets on how to make it in the music business from our legendary manager, Jim Halsey. Also, have your photo made with the Oaks on the cruise ship. There’ll even be a very special show featuring the Mighty Oaks Band,” he adds. The Celebrity Constellation cruise featuring the Oak Ridge Boys will depart from Miami, dock in Key West and Cozumel while navigating the deep blue sea. Celebrity Cruises line offers impeccable service and amenities, including spa treatments, shops and casinos. It is among the top-rated in the travel industry. 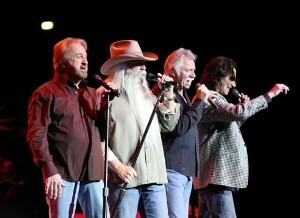 For more information or to book online, visit www.oakridgeboys.com or call: (888-711-7447. Guests will have the opportunity to have their photo taken with the Oaks. There’ll be 90 minutes of entertainment as you’ve never experienced it! Guests will have the opportunity to request songs in advance. 10:30 p.m. Late Night Jam with The Mighty Oaks Band in the ship lounge. Casual fun for everyone over 21! Nostalgic video reels, games and a special presentation by ORB Manager and Impresario Jim Halsey. Food Network Travel's new Food Network at Sea 11-night cruise featuring Food Network star Anne Burrell, aboard the new Celebrity Silhouette visits Lisbon © 2011 Karen Rubin/news-photos-features.com. Food Network Travel announces a new Mediterranean and Transatlantic Food Network at Sea sailing featuring Food Network star Anne Burrell, the vivacious host of popular series Worst Cooks in America and Secrets of a Restaurant Chef. 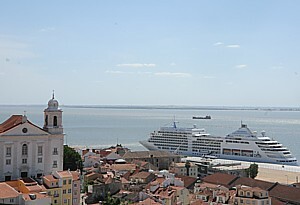 The 11-night cruise aboard the new Celebrity Silhouette sails Rome, Cagliari, Palma de Mallorca, Lisbon and New York, departing October 22, 2011. Food Network Travel guests enjoy exclusive access to authentic and engaging Food Network Travel experiences, perfect for people with a passion for travel and the joy of cooking. “By invitation only” Food Network events include: culinary demonstrations led by Food Network star Anne Burrell, hands-on interactive cooking classes led by Food Network Kitchens chefs, private parties featuring Food Network recipes, Food Network VIP lounge. Food Network guests will also receive pre-paid gratuities and special turndown gifts. Four culinary professionals from Food Network Kitchens will join the fall Food Network at Sea sailing with Emmy-nominated Chef Anne Burrell: Executive Chef Robert Bleifer, Sous Chef Miriam Garron, Culinary Product Development Manager Mory Thomas and Food and Beverage Director David Mechlowicz will be teaching intimate hands-on cooking classes for Food Network at Sea guests. Classes range from “The Comfort Food Ultimate – Pasta Making” to “Paella Fundamentals & Chocolate Truffles” to interactive food and wine pairings, featuring Food Network’s new wine, entwine. In addition to hands-on cooking classes, Food Network Travel guests will enjoy exclusive access to other authentic and engaging Food Network Travel experiences, including culinary demonstrations led by Food Network star Anne Burrell, private parties featuring Food Network recipes, and access to the Food Network VIP lounge. Food Network guests will also receive pre-paid gratuities and special turndown gifts as part of this package. Following the successful inaugural sailing in August 2010, Food Network Travel has made a few enhancements for this voyage. Guests will have even more time to enjoy the Food Network experiences as this Mediterranean and Transatlantic itinerary offers multiple days at sea. This conveniently disembarks guests in the “foodie” center of the world: New York. An additional highlight of the inaugural sailing expanded on this cruise is the hands-on cooking classes led by the chefs of the Food Network Kitchens. These intimate classes give each guest the opportunity to create and eat his or her own culinary masterpieces. The chefs walk from station to station providing tips and assistance to each guest, creating a truly interactive experience. Plans are in development to offer a range of exclusive Food Network programs, including additional cruises, as well as land vacations and wine and food festival packages. These experiences will include exclusive access to Food Network stars, as well as trips tied to specific Food Network culinary trends and topics. Food Network Travel packages for this Mediterranean and Transatlantic sailing featuring Anne Burrell start from $1897 with all exclusive Food Network events included. For information on booking this or other Food Network Travel experiences, visit www.foodnetworktravel.com.